From information in the most recent Market Update from the Greater Lehigh Valley Realtors Association, housing trends in the Lehigh Valley, as in much of the country, continue to support a Seller’s Market. December followed the pattern for all of 2017 in that inventory, months of supply, number of days on the market new listings, and closed sales were all down; While housing prices, pending sales, percentage of list price received were all up. The Housing Affordability Index year over year remains the same but decreased slightly in December. Sellers should gain confidence from this market and there should be more sellers entering the market in 2018. New Listings decreased 10.2 percent to 448. Pending Sales were up 7.5 percent to 461. Inventory levels shrank 28.4% to 1,606 units. Prices continued to gain traction. The Median Sales Price increased 3.2 percent to $182,750. The number of Days on Market was down 24.6 percent to 52 days. Sellers were encouraged as Months Supply of Inventory was down 35.3 percent to 2.2 months, the lowest in more than a decade. The rate of unemployment in the Lehigh Valley is 4.4% and has remained low throughout 2017. Wages have marginally improved, though not to levels that match home price increases. However, the demand for housing remained incredibly strong in 2017. 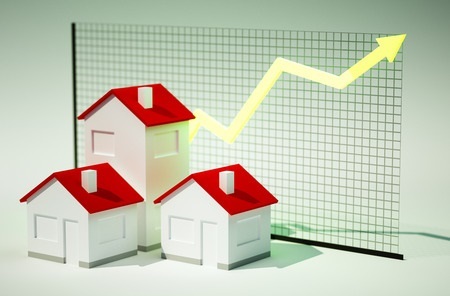 In 2018, economists expect that the historically low interest rates will rise gradually to an average of 4.5% and inventory could increase moderately, resulting in what some, though not all economists, predict will continue to be a seller’s market. Housing and economic indicators give reason for this optimism, with or without new federal tax legislation. For more information and details about the real estate market in the Lehigh Valley follow this link to the Greater Lehigh Valley Realtors website.